Because you know what they say about all work and no play! The year was 2004. Our entire student body was gathered in the gymnasium for an assembly. In the middle of the school’s fight song, our assistant principal dashed to center court and gesticulated wildly for the music to stop. All eyes looked to him. Suddenly, he lifted his hand in a cue then launched into a choreographed routine alongside our school’s step team. The crowd went wild. Surprise gestures and a willingness to step outside of the comfort zone can help administrators connect with their students, energize their staff, and even raise money for school fundraisers. 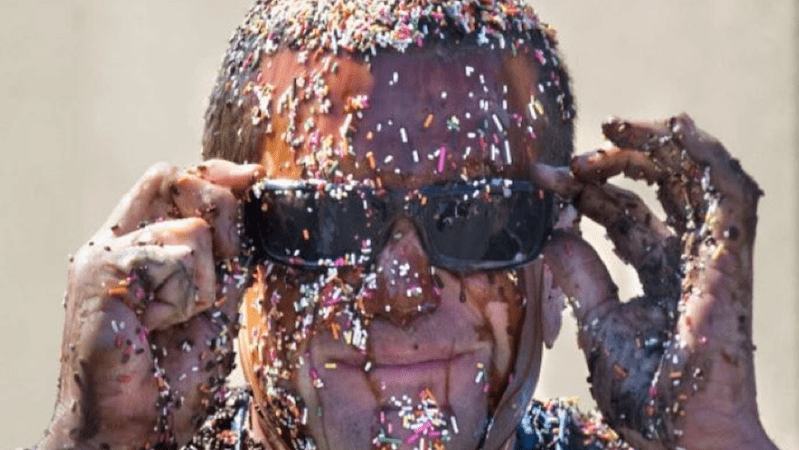 Check out 10 of the best principal stunts from administrators who proved they can take one for the team. 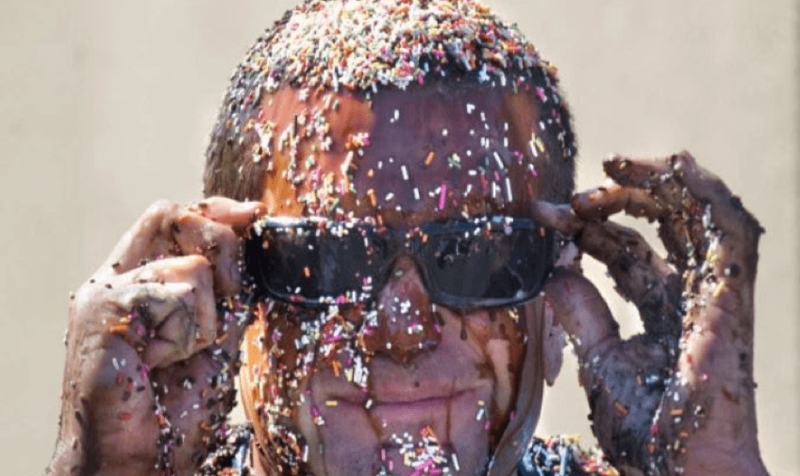 Corey Pace, the principal of Santiago Hills Elementary School, turned into a human sundae to raise money for his school’s annual Jog-a-Thon. 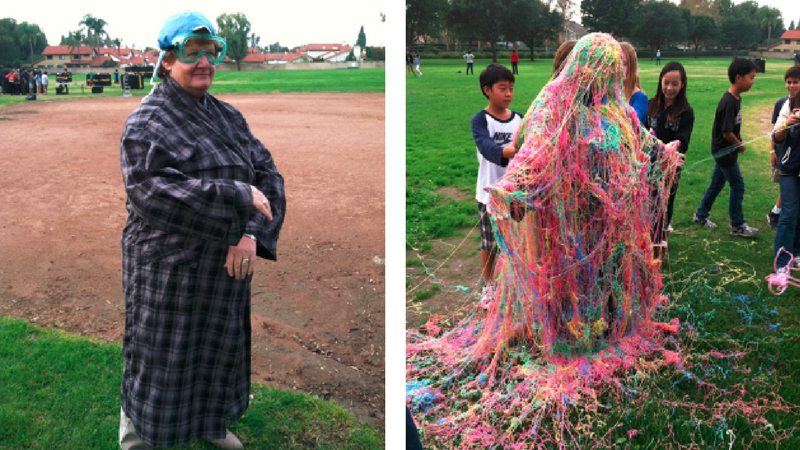 Sierra Vista Middle School principal Lynn Matassarin allowed her students to douse her with Silly String. Frogs are so yesterday. 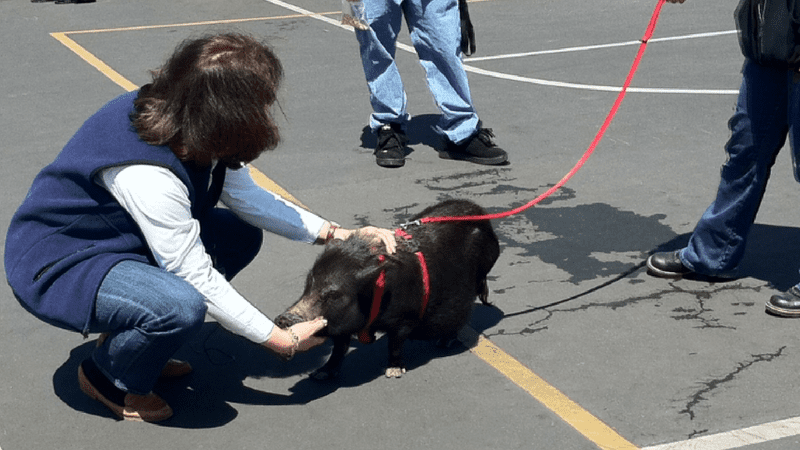 Eastshore Elementary principal Lisa Kadam kissed a pig named Cookie for her school. 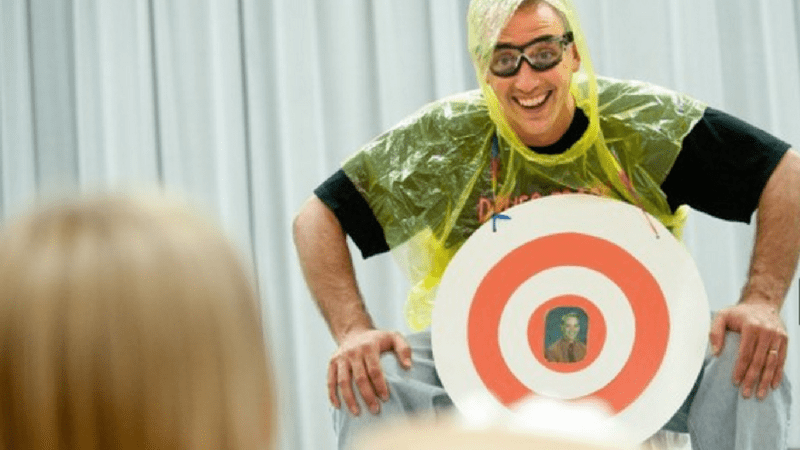 Scott Hufford of Crisman Elementary School donned a bullseye and let his students take aim with pies. 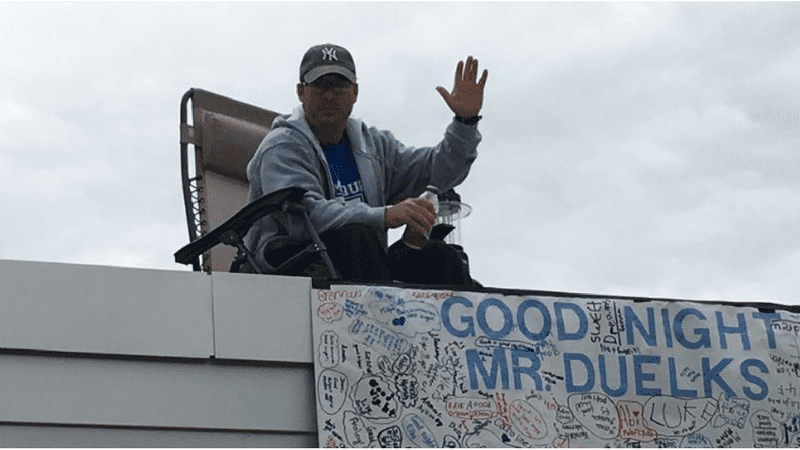 David Duelks, a principal in Westfield, New Jersey, challenged his students to a reading goal. When they surpassed his target, he agreed to spend a night sleeping on the school roof. 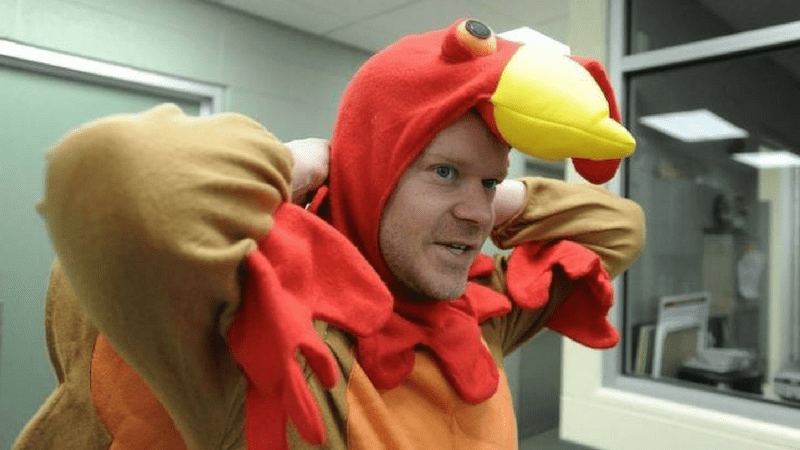 Brian Baudoin, an elementary school principal in Maryland, roamed the halls dressed as a chicken to get his students clucking. Clear Creek Elementary School principal Mike Barkley was duct-taped to a cafeteria by his students who reached their goal of more than 2,000 acts of kindness. 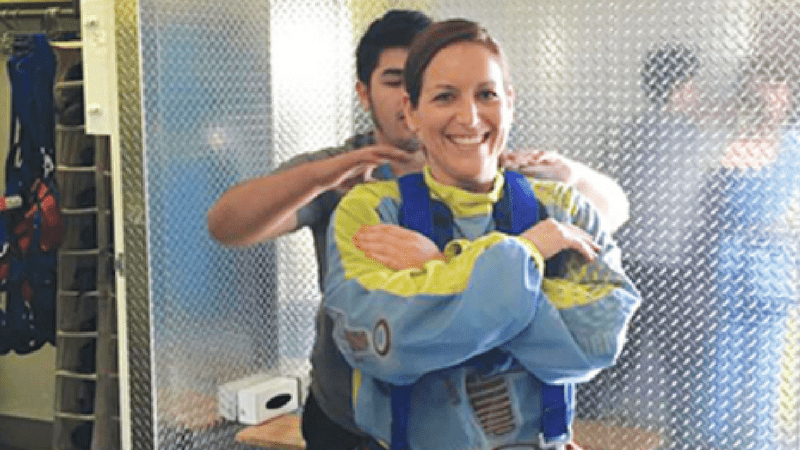 Principal Evie Breier tried a local tourist attraction, SkyJump, and fell 800-feet off the side of a Las Vegas hotel. Harness or not, Principal Breier wins for the bravest stunt. 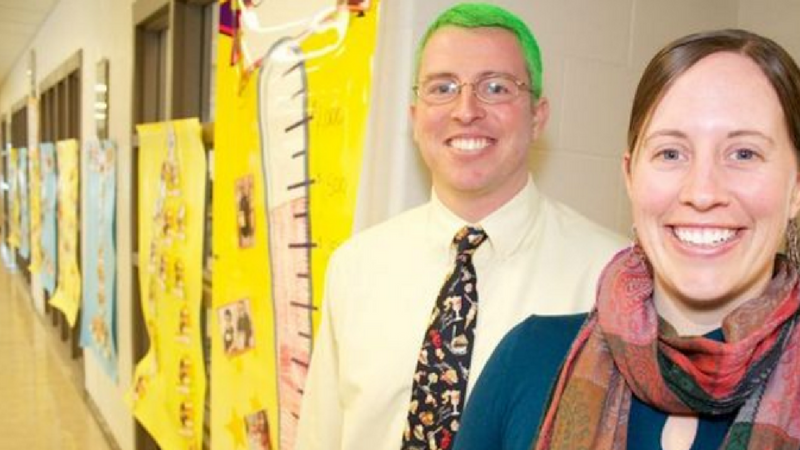 Elementary school principal Art Paynter rocked neon green hair to reward his students’ efforts in raising money for leukemia. In honor of Cure Childhood Cancer Awareness Month, the students, parents, and staff at Hopewell Middle School raised money to fight pediatric cancer. 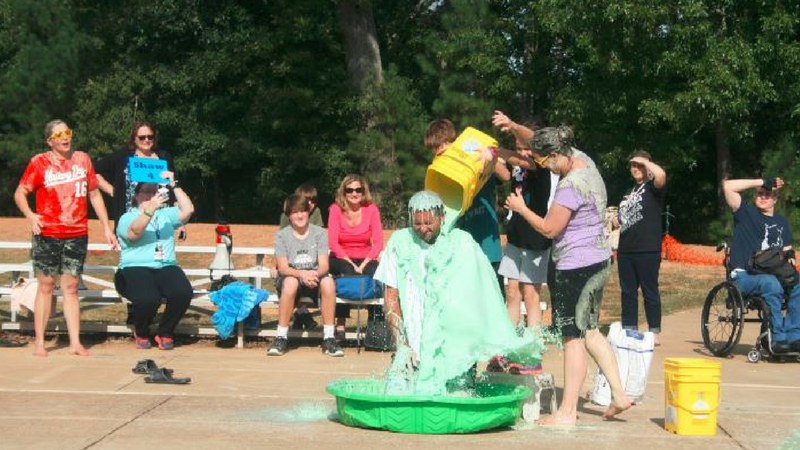 To honor the surpassing of their fundraising goal, the school’s administrative staff got slimed outside in front of the entire student body. What are some of the best principal stunts you’ve seen in your career? Let us know in the comments.